WhatsApp, the Facebook-owned messaging platform has been on its toes ever since it was slammed after the number of lynching incidents which were triggered due to fake news spread through its platform. Since then, the company have been making continuous attempts to fight against fakes news and misleading content on its platform. WhatsApp had taken several measures in the past to avoid the spread of fake news through WhatsApp Messenger by introducing message forwarding limit of up to 5 users or group only. Ahead of 2019 Lok Sabha Elections, the company is making a lot of efforts to stop fake news and misleading information. To bring more insight about WhatsApp's fight against fake news, we list down the features that have been introduced on the platform to curb misleading information. WhatsApp's New Feature Will Save You from Being Added to Annoying Group Chats. No Group Invitation Without Consent: Putting an end to annoying group invitations, WhatsApp has updated its privacy settings allowing the users to choose who can add them to groups. - This new feature from WhatsApp comes as a big relief as the fact that it would make group chats on the WhatsApp Messenger more secure. - This new feature will stop people from adding you to unnecessary or unwanted groups and the best part is the feature lets you decide which groups you want to join. - The new feature will give users more control over the messages they receive in any group. - Users will get three options to choose for their settings - 'Nobody', 'My Contacts' or 'Everyone'. 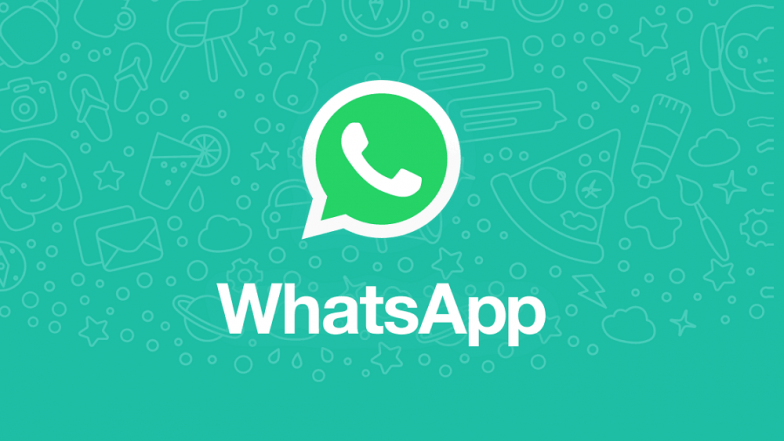 WhatsApp Checkpoint Tipline: WhatsApp introduced 'Checkpoint Tipline' feature wherein the users can check the authenticity of the message they received in any particular group or chat. - Users can submit misinformation or other rumours they received on WhatsApp to the Checkpoint Tipline Service number - +91-9643-000-888. - Once the user report to tipline about the suspicious message, the verification centre will respond and inform the user regarding the validity of the message. - The response from the verification centre will indicate if the information is classified as true, false, misleading, disputed or out of scope and include any other related information. WhatsApp Forwarding Info Feature: This Forwarding Info feature on WhatsApp is designed to allow the users to check how many times the message has been forwarded to other users in the application. - The users can check by the number of times the message has been forwarded by selecting the message and tapping on three dot icon on the right side to select - Info. - It is important to note that this information will be available only for sent messages and navigate into Message Info for the message sent by the user. - This new feature will determine if your relative or friend wrote this message or it was forwarded from someone else. - This feature is currently offered on the beta version of the Android app. It is likely to be rolled out soon. Frequently Forwarded Label: Likewise the forwarding Info feature, WhatsApp is also testing 'Frequently Forwarded' label for the messages that have been forwarded quite often in groups or chats. This feature is also under testing right now. WhatsApp has been quite severe and concerned about fake news as the fact that the platform used to spread the fake news or several misleading information belong to WhatsApp. The company was scrutinized by the Indian government post-mob violent triggered because of messages and videos circulated on WhatsApp. To avoid similar circumstances or incidents in the future, WhatsApp is working on making the platform more secure and useful by rolling out new features to prevent the spread of Fake News.